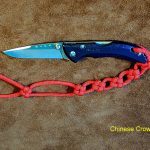 The other day I was going to Ashley Book of Knots, came across knot number 541 and thought that the design would make a rather decorative lanyard on a knife. 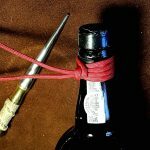 I felt rather pleased with myself as I thought I had come up with something new. 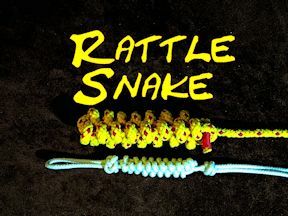 It was only after I had done a little bit of research, it would also known as the rattlesnake knot. 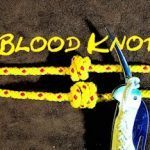 Okay, I have to admit that when the knot is tied, it does look a bit like the tail of a Rattlesnake. It always amazes me how we have to make things sound more dramatic than they actually are. For example, when computer crashes, there is not blood. But I suppose as time change and we want to be more dramatic about things, we make them sound more exciting. 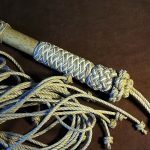 A bit like the Cobra stitch Portuguese Senit. 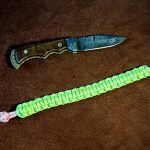 In this video I demonstrate how a simple paracord knife lanyard can be made using the Rattlesnake Knot and a couple of Lanyard Knots thrown in.